APOLLO Tractors are manufactured by the Changfa Corporation, one of the biggest diesel engine manufacturers in the world, producing over 1 million units per year. Changfa is a multinational corporation that has more than 9000 employees, including 1500 specialised technicians and more than 200 senior engineers. The APOLLO tractor plant alone covers 40,000 square metres. APOLLO 554 55hp in action. APOLLO tractors are built using state of the art manufacturing and testing procedures and offer quality and performance at an ultra competitive price. Each tractor is dynamometer tested to ensure that the driveline is operating perfectly, before it is shipped. APOLLO tractors are known for their reliability and power and with solid cast iron chassis that are the biggest in their class, they deliver superior power to the ground. 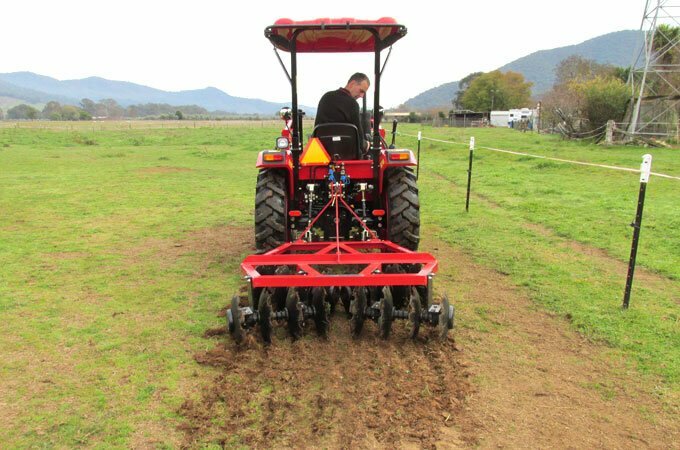 APOLLO tractors have excellent maneuverability and provision for standard TPL implement attachments. Why buy an APOLLO tractor from SOTA Tractors? An APOLLO tractor package from SOTA Tractors offers great value and peace of mind. We help you to get the most out of your tractor package. 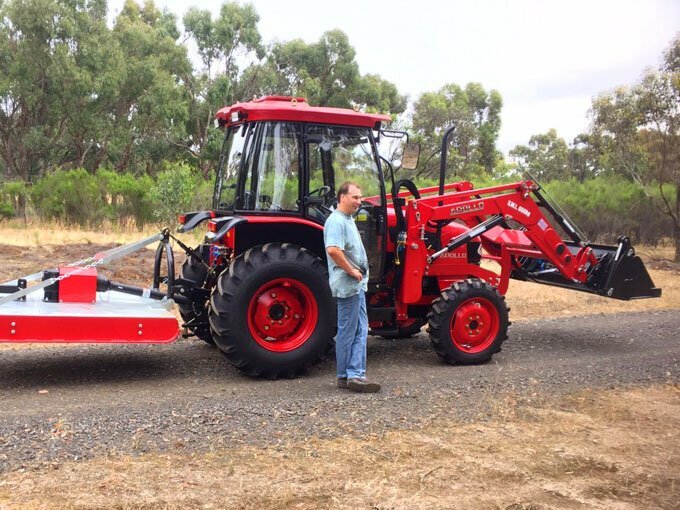 SOTA has over a decade of experience with APOLLO tractors and more than 1000 customers throughout Australia. SOTA has the infrastructure and know-how to support APOLLO tractors. Apollo tractor with Del Morino flail mower. APOLLO 554 55hp Cabin with AGMAX heavy duty galvanised slasher. 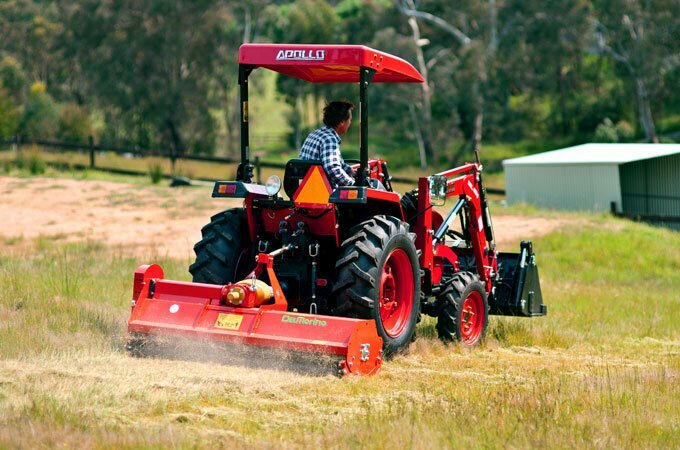 APOLLO represents the best value in Chinese tractors in Australia. They are heavy duty machines with reinforced front ends making them ideal for FEL work. Not only do you get "a lot of tractor" for your money, all models in the APOLLO range are fully supported by SOTA with a 3 Year Written Warranty and a spare parts guarantee.